Many city offices including those at the Sanitation Department and Recycling Center will close for the Christmas and New Year's Day holidays. Christmas holiday observation is Tuesday, December 25, and New Year's Day holiday observation is Tuesday, January 1. Since both holidays are observed on a Tuesday, customers with Tuesday trash routes should set their bags at the curb on Wednesday. Wednesday's routes remain unaffected. So if your garbage would normally be collected on Tuesday, December 25, it will instead be picked up on Wednesday, December 26. If your garbage would normally be collected on Tuesday, January 1, it will instead be picked up on Wednesday, January 2. Please also note that city offices will be open on Christmas Eve and New Year’s Eve, so trash routes will remain unaffected for Monday, December 24 and Monday December 31. This month’s yard waste collection schedule is the week of December 3-7 and December 17-22. The holidays are a time when households produce a lot of extra potential recyclables. Many items ordinarily thrown away such as boxes, greeting cards, wrapping paper, beverage bottles, food jars, and metal food containers can add up quickly. The city encourages residents to “go green” and trim down their holiday trash by recycling more. In addition, the city will again be accepting and recycling Christmas trees at a special location located at the Recycling Center. Lights, ornaments, tinsel, and other decorations should be completely removed by customers before hauling and dropping off the trees in the designated area. Every year, the recycled Christmas trees are used for bank revetment along Hubble Creek in City Park. Trees will be accepted through the end of January of 2019. 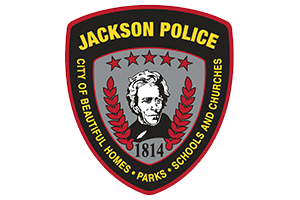 For more information, please contact the Public Works Department at (573) 243-2300; or visit us online at jacksonmo.org or Facebook.com/JacksonMO.